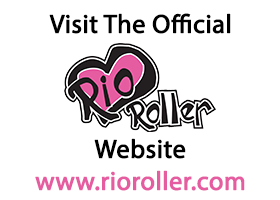 The Rio Roller Girls: Skates on the brain! I have always been a giver-upper, nothing could keep my attention or make me want to push myself past those horrible moments when you think to yourself ‘I can’t do this’. I’ve played multiple musical instruments, played sports at school and even gave acting a go. Obviously none of those things were for me, but finally in my 20’s I discovered the best thing ever! Roller skating! 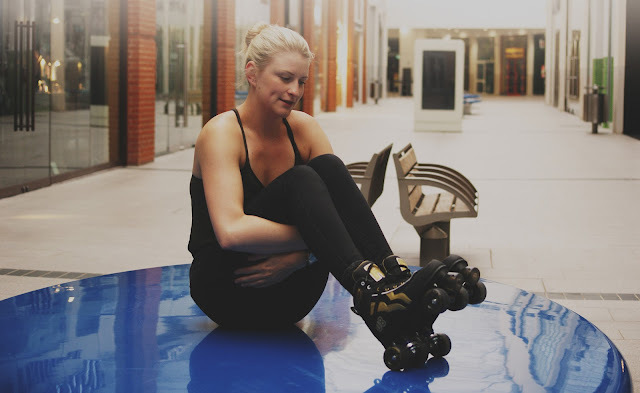 My roller skating story started when I decided that I wanted to wear stripy socks, shorts and roll around town! Nothing really to do with actually wanting to be a good skater. Lucky for me, my university housemate had the same idea. So we got some cheap skates, joined our local roller derby team and haven’t looked back since. Who knew I would fall in love with it so whole heartedly?! Finally, I’ve found something I am actually kind of good at! It hasn’t been exactly easy though and there have been times when I certainly wanted to give up. There have been more tears then I could possible count, a lot of sweat, the odd scrape and plenty of bruises. But there was always something that kept me going, was it the stripy socks? Probably, but also the incredible community that I can call myself part of and the boundless possibilities. To say roller skating has taken over my life is an understatement, it is that one thing that is constantly on my mind. Wherever I go I’m thinking to myself, ‘this is a nice skating surface’ or ‘this place would be awesome to skate’. I’m always talking about it, watching videos on the internet and planning the next thing I’m going to try out. I have too many pairs of skates, even more sets of wheels and bearings, toe stops and laces all pouring out of my wardrobe. Who am I kidding, I love that is has taken over my life and I wouldn’t have it any other way. I thank my lucky stars every day that I got that first pair of skates and didn’t give up! I still have a lot to learn but can’t think of anything better than getting out there on my Rios and doing my thing! I can’t tell you enough to do the same, give it a go, you won’t regret it. 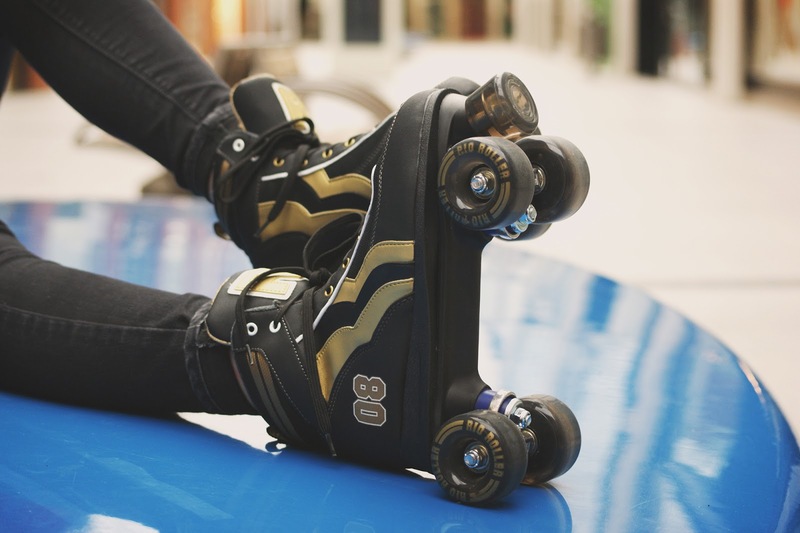 Featuring me and my Varsity Black and Gold Rio roller skates!